The 2018 Momentum BIG5 Challenge partnered up with some incredible businesses and brands to bring you the best week’s racing of your life!  In 2018 the Momentum BIG5 Challenge was born with Title Partner, Momentum, coming on board to bring you the Ultimate Multisport Challenge. In 2018 all the Momentum BIG5 Challenge athletes will be refuelling raw with RUSH Nutrition being our Official Nutrition Supplier. We’re doing the Momentum BIG5 Challenge in style this year with Salomon as the Official Running Shoe and Running Apparel Supplier of the BIG5 Challenge. “Salomon has been playing in the French alps since 1947. Our passion for outdoor sports, new technologies and craftsmanship has driven us – and still does – to create progressive gear to enable you to freely enjoy and challenge yourself in the great outdoors. “Multi award-winning Algoa FM is the first commercial radio station outside of Gauteng to win Station of the Year in the annual Liberty Radio Awards. In addition, the annual Big Walk for Cancer, which is the Eastern Cape’s biggest charity event, won both the commercial radio award for Community Project and the commercial radio award for Promotion/Stunt/Event. The Algoa FM Top 30 with Wayne Hart won the Daytime Show category.